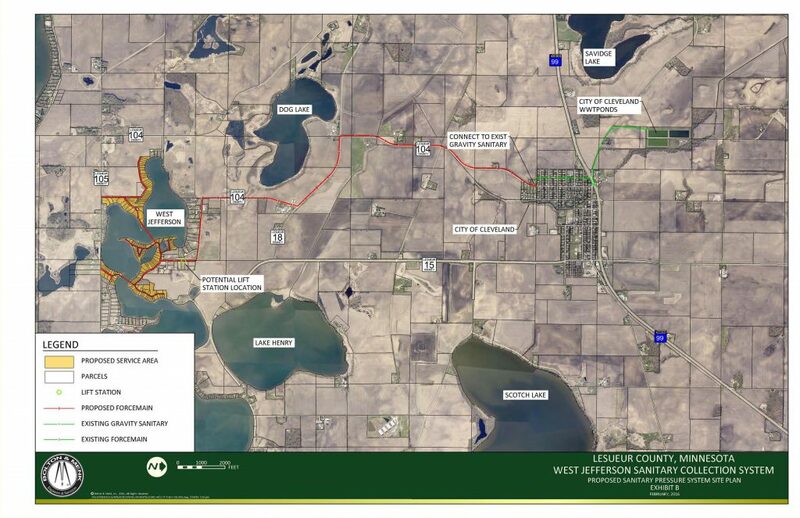 CRWP is assisting with a new effort to construct a sewer system for West Jefferson Lake in Le Sueur County. The system would bring sewage from 140 properties around West Jefferson Lake to the City of Cleveland for treatment. The project is modeled after the successful Roberds Lake sewer project that CRWP helped facilitate and was completed in 2014. Recently, the Le Sueur County Board agreed to submit a funding application for the project to keep it moving forward. Click here for a newspaper article from the Le Sueur News Herald on the project or here for a video story from the Mankato TV station.